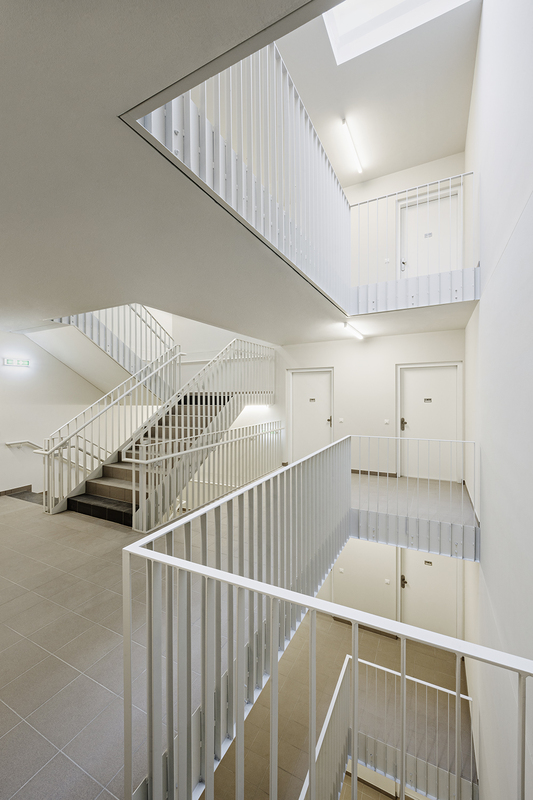 This project shows how connection and cutting off can work without pandering, so that the qualities of a complex are gradually revealed, similar to how great music opens itself up to repeated listening or upon closer examination. The final station simmering on line U3 of the Vienna metro: residential buildings from different periods characterise the district. This seems surprisingly appealing, due to the fact that here there are streets of houses, and not loosely connected detached buildings with securely locked front doors on the outskirts of town, thus creating a dense urban design quality. This project shows how connection and cutting off can work without pandering, so that the qualities of a complex are gradually revealed, similar to how great music opens itself up to repeated listening or upon closer examination. 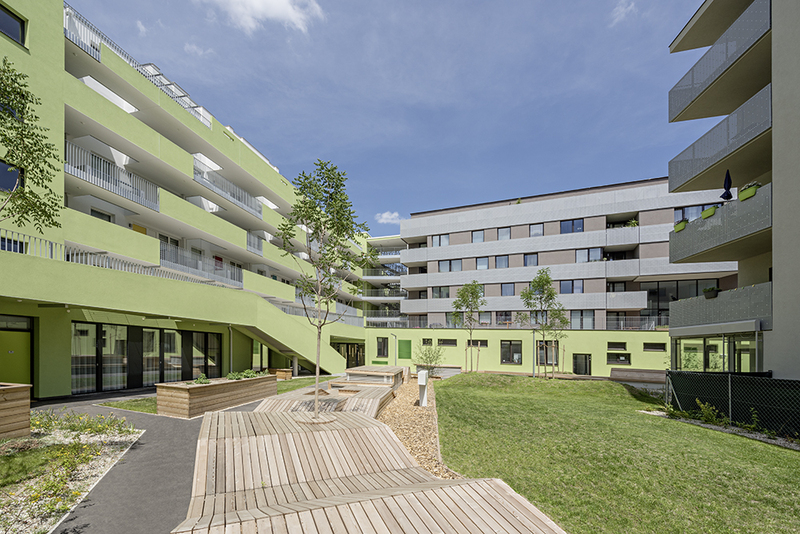 With the residential area Lorystrasse 122, COLONIarchitects and *platzhalter Architektur created three constructed parts that are marked with many unpretentious surprises. A dialogue between the planning partners, a calling back to the original brick structure at this location, and the sensitive inclusion of the built environment, all led to something that would otherwise appear impossible on the drawing board: the flair of an evolved structure.